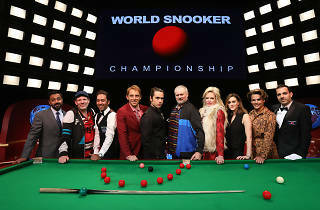 At the performance I saw of The Nap, something went wrong in a live game of snooker onstage: One of the actors knocked the cue ball clean off the baize and into the front row of the audience. 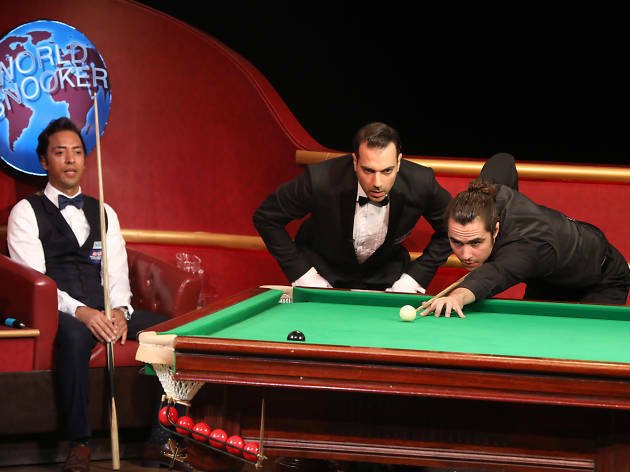 This was as apt a metaphor as any for Manhattan Theatre Club’s painful production of Richard Bean’s comedy about a rising snooker star, Dylan (Ben Schnetzer), ensnared against his will in a scheme to fix a big match. 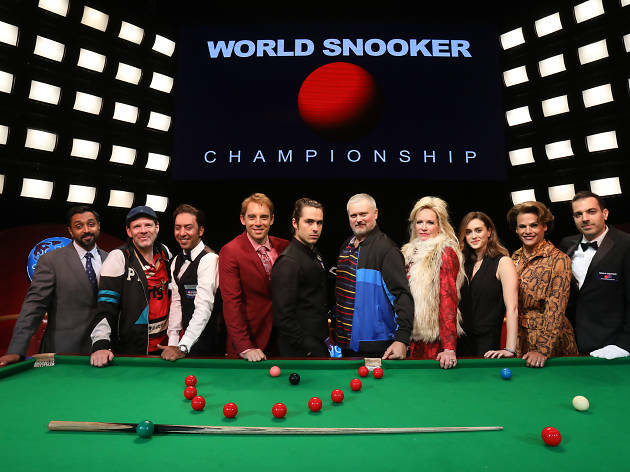 One can imagine the play gliding right into the pocket in its site-specific 2016 premiere in Sheffield, England—at the Crucible, home to the actual World Snooker Championship—with an English cast, for an English audience. 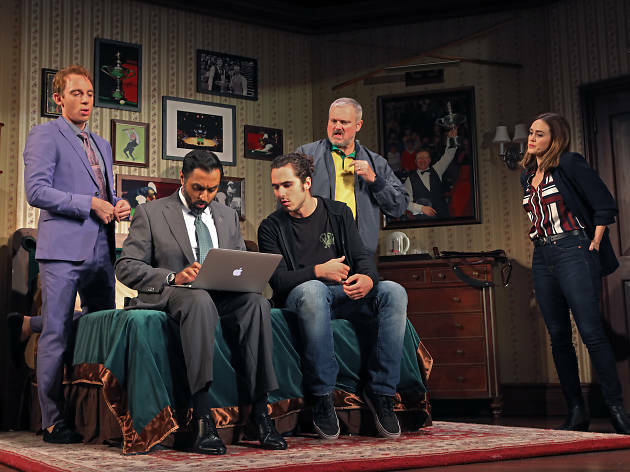 Daniel Sullivan’s Broadway production, however, strains mightily to put the show across and succeeds only in whacking it off the table. 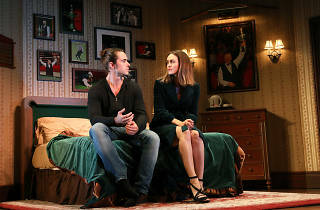 The Nap surrounds the shy, vegetarian Dylan with broad supporting characters: an ex-con dad (John Ellison Conlee) who is bad at math and movie names; a slatternly mum (Johanna Day) and her scuzzy paramour (Thomas Jay Ryan); a stuffy investigator (Bhavesh Patel) and his flirty partner (Heather Lind); a flashy agent (Max Gordon Moore); and a one-armed, implausibly malaprop-prone transgender gangster named Waxy Bush (Alexandra Billings). 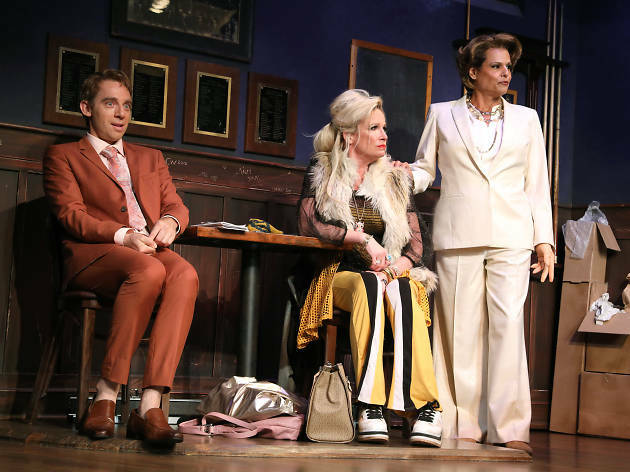 Could these characters be funny, at least until the play takes an ugly, humor-killing turn at the end of Act I? 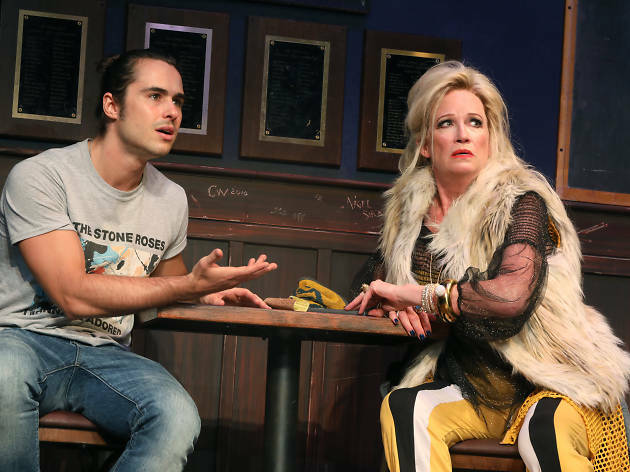 Perhaps, yet most of them are not: Aside from Conlee and Moore, the actors offer comic characterizations that feel as put on as their all-over-the-map accents. (The interesting but miscast Billings swims between Southern American and northern English and sinks into mid-Atlantic.) 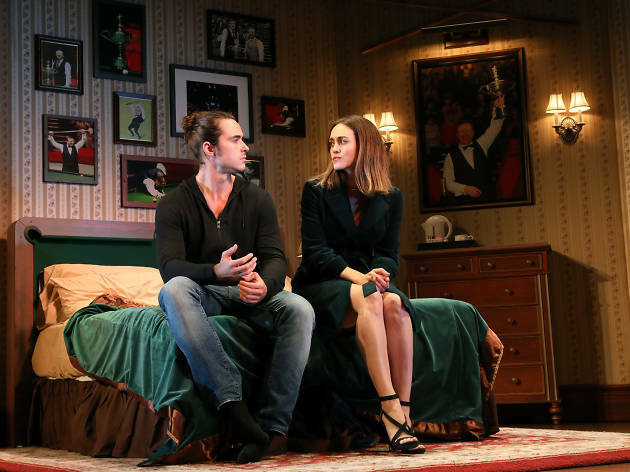 A sprinkling of cute one-liners and two live snooker sequences in the second act—with improvised commentary—provide moments of relief from the forced plotting and even more forced romance, which converge in an inane finale. Can the current mania for British imports please take a pause? Not every play is meant to travel. 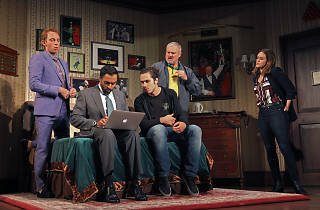 Samuel J. Friedman Theatre (Broadway). By Richard Bean. Directed by Daniel Sullivan. 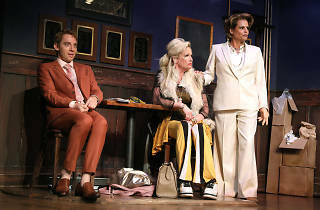 With ensemble cast. Running time: 2hrs 20mins. One intermission.